Amrithambika Sametha Aavundeeswarar Temple is located in Nemam which is around 35 Km from Chennai. If one is coming from Chennai after crossing Vellavedu and Sri Krishna Sweets, one has to take left in the Chennai Tiruvallur Main Road near Ambedkar Statue and Nemam Green Board on Left Hand Side of the Road. The Road is smooth till one reaches a stone wall and then one has to take left and then right. The Temple is visible thereafterwards. It is a 1 to1.5 hours drive from Chennai. All buses from Chennai to Tiruvallur pass though Vellavedu Bus Stop. 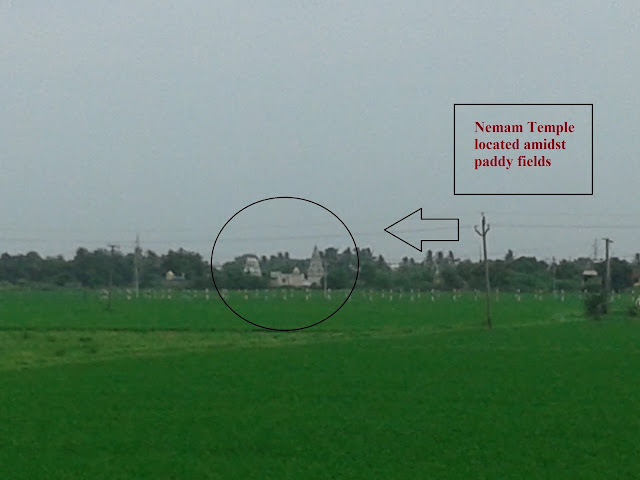 One can get down there and take an auto to reach Nemam Temple. 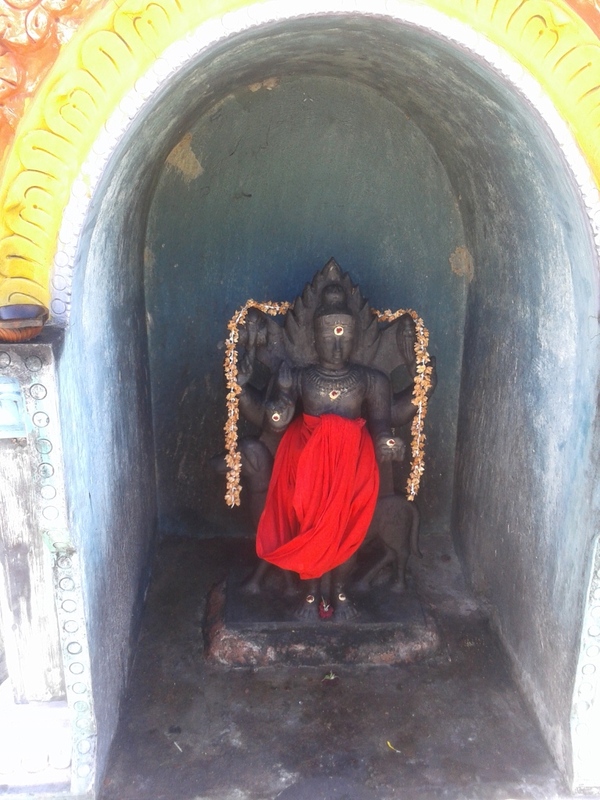 It is an ancient stone temple that is now renovated a few years back located amidst paddy fields in a calm atmosphere. Agasthiar.org website details that this Temple is the place where Amritha Shakthi is Prevalent all around the place. 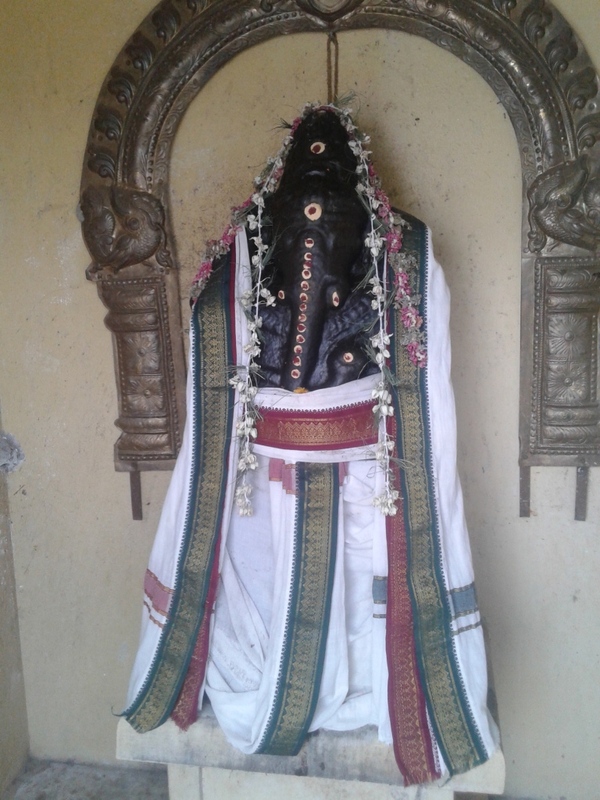 All deities bless devotees with Amritha Shakthi. Parvathy is known as Amrithambika and Bhairava is Known as Amritha Yogeeshwara Bhairava. 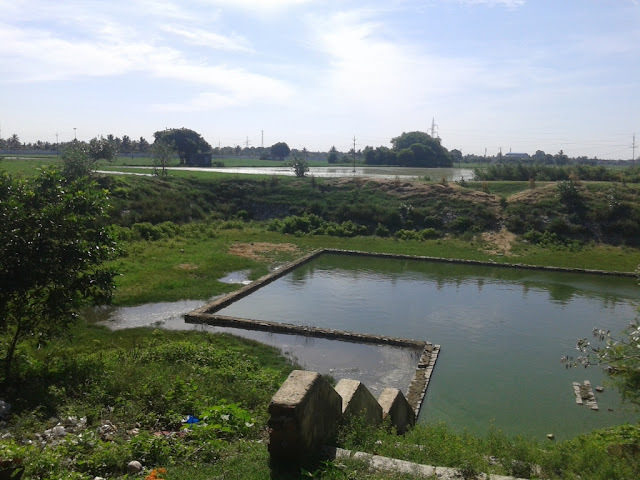 The Theertham here is said to possess medicinal properties and is known as Oushada Amritha Shakthi Pitru Mukthi Theertham as detailed in Agasthiar.org website. 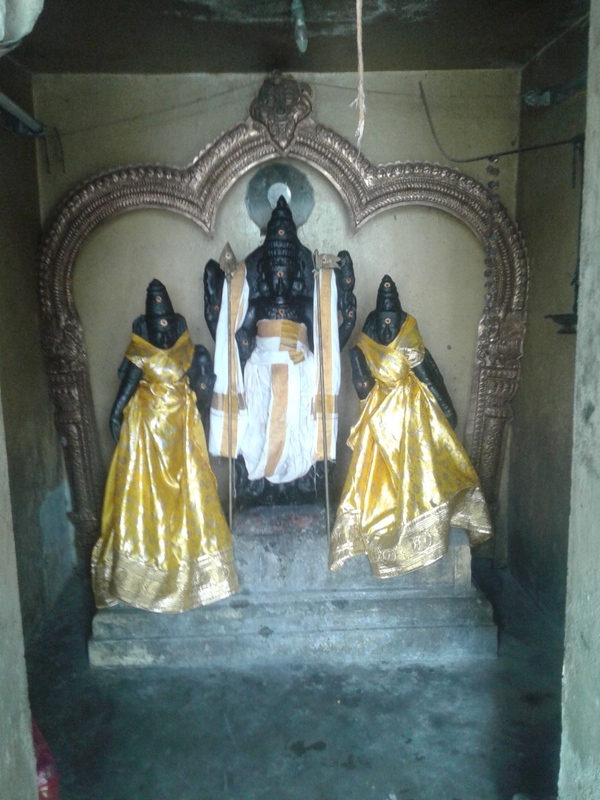 The Temple and Theertham grants Moksha to Pitrus or exalted ancestral beings. 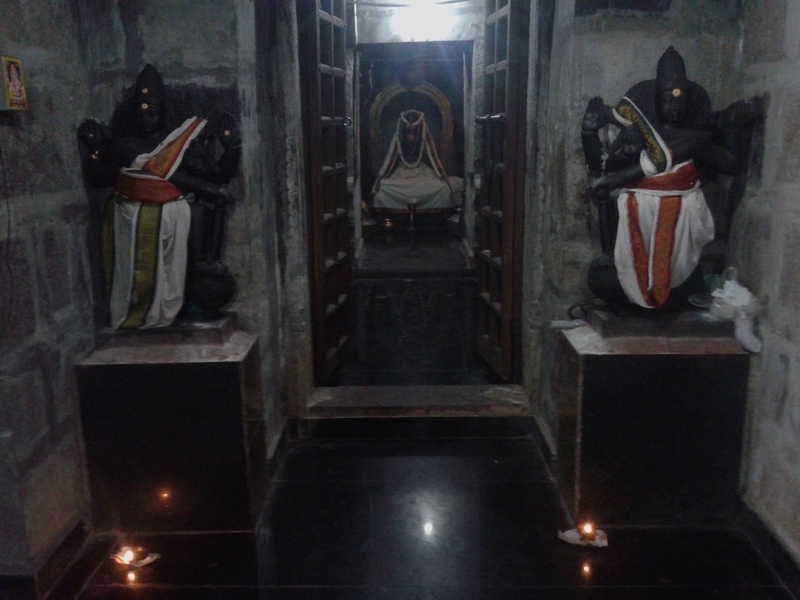 Hence is it very auspicious to perform Tharpanam during Amavasya here. 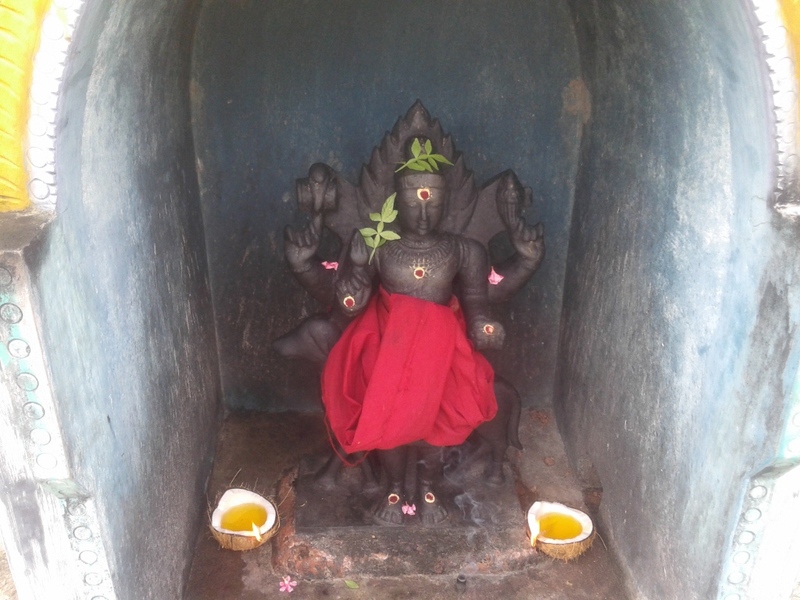 Go pooja is performed here for Santana Bhagyam and in order to get good children. It is performed early in the morning. 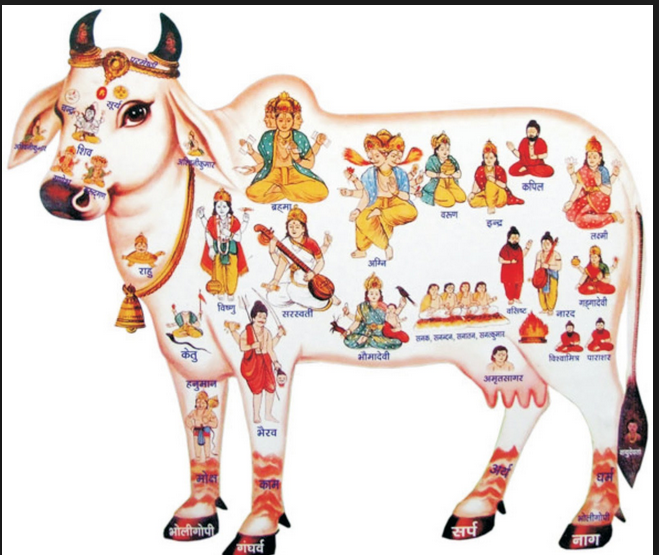 Both Cow and Calf are to be washed in water and worshipped by applying manjal/turmeric and Kumkumam. They are decorated with flowers and one can choose to adorn them with saree & blouse or even dhothi. 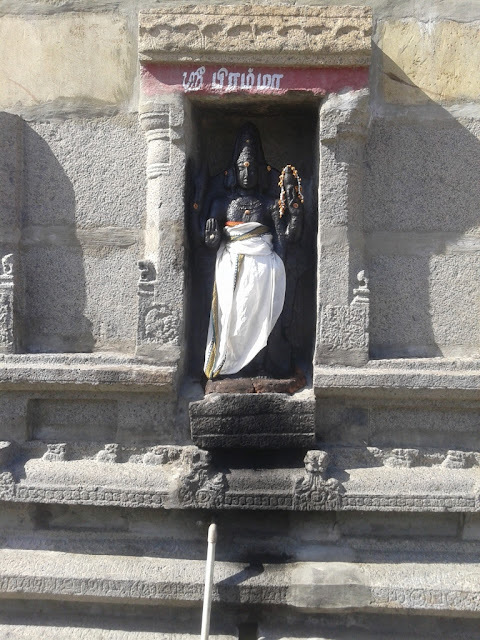 Aarthi is performed to the Cow and Calf. Couple performs pradakshinam around the cow and calf and also offers namaskaram to them. Then the Cow is fed with food and one can bring green leafy vegetables to offer them. This is a powerful form of worship as Gomatha has all the 33 crore devatha moorty residing its body. 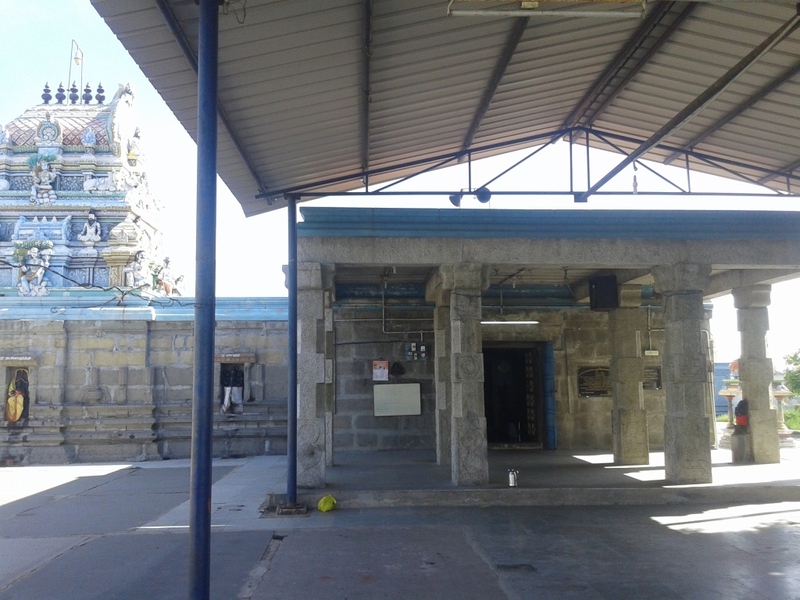 The place where the Cow is milked or udder is the place where Amritha sagaram is said to be present. Performing Pooja to Gomatha is equivalent to performing pooja to all the deities residing within. 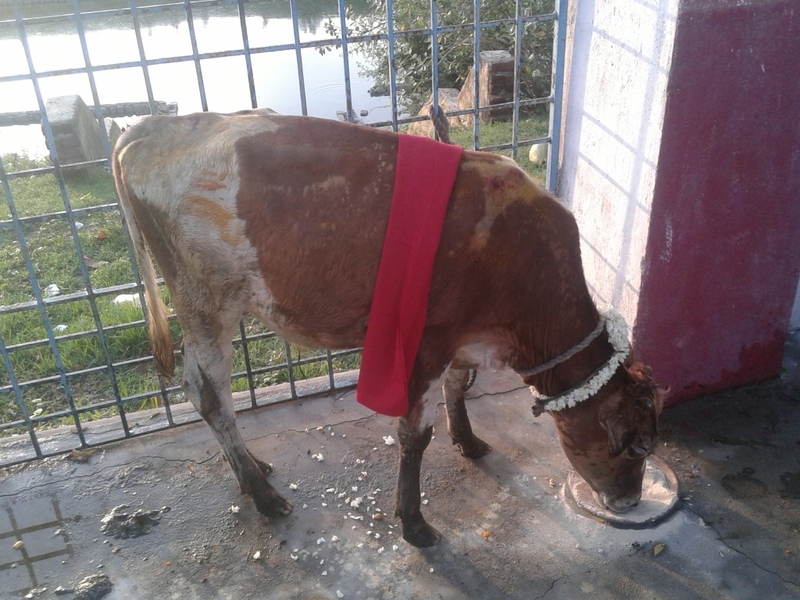 The Milk that is taken from the Cow is utilized for performing Abhishekam to Aavundeeswarar Shiva Lingam within 3 minutes. This Milk is then offered as Prasadam for Couples to partake. 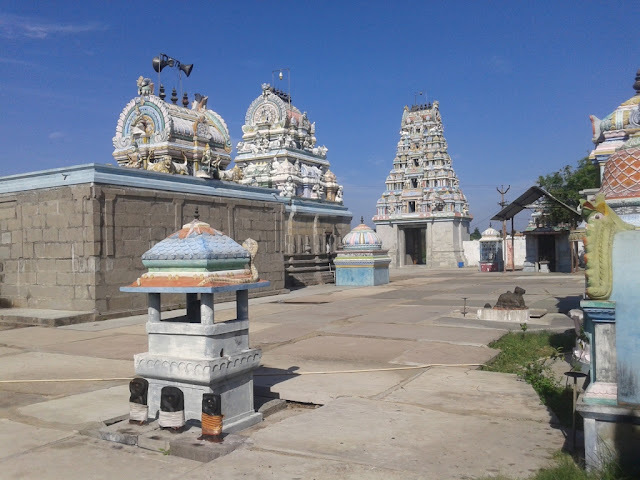 The Cost of performing this Go pooja and Abhishekam to Amrithambika and Aavundeswarar is Rs 1000. 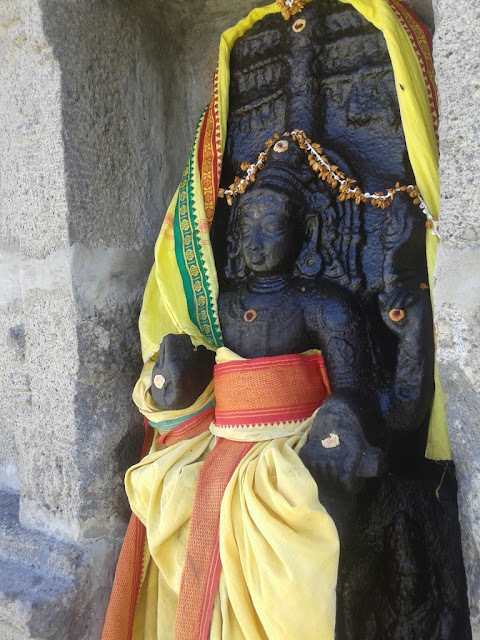 Later detailed Abhishekam with Turmeric, Honey, curd is performed to deities. The contact details of Trustee are as follows. 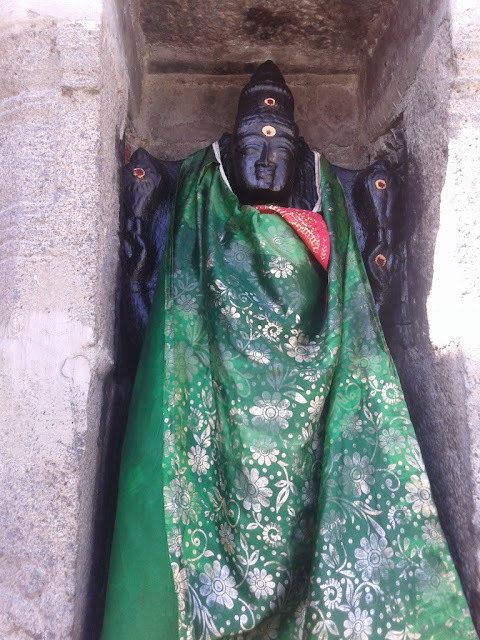 According to Agasthiar.org Dharani Bandhu Pitru Moorty Bless couples here so that they may have Santana Bhagyam/Childbirth Blessings. 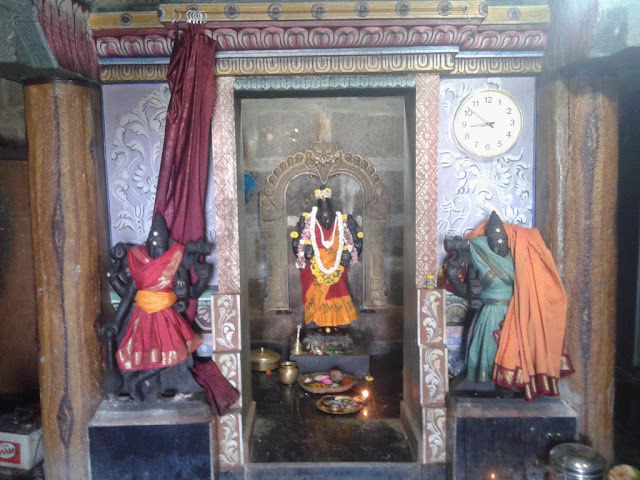 Performing Amavasya Tarpana here also carries the Blessings of Pitrus so that one may have good Children both Boy and Girl. Adorning Amrithambika with Bangles on Poora Nakshatra days and Navaratri days helps one to receive the Blessings of devi easily and blesses one to having a loving and peaceful family life between husband and wife. 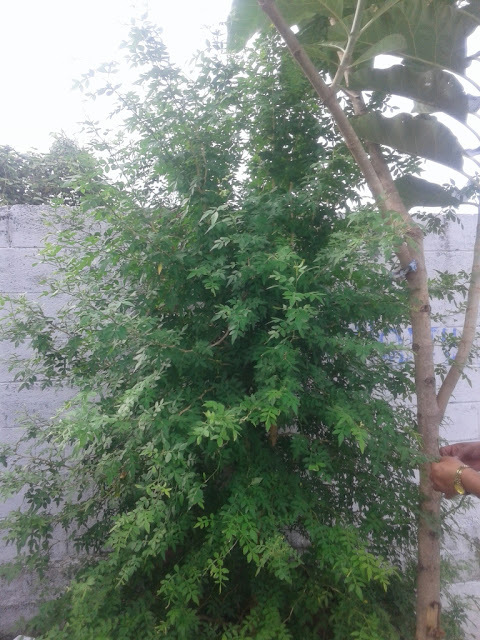 There is a unique Maha Vilvam tree near Bhairavar and Saneeswarar Sannidhi in Nemam temple which has more than 3 leaves. 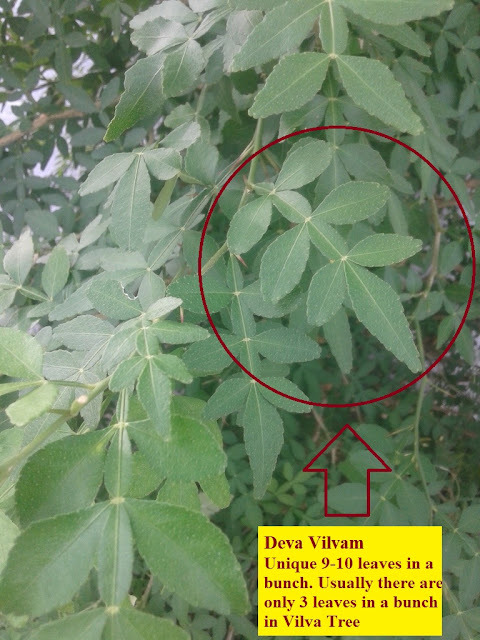 It has 7,11,12 leaves in a bunch as seen in image below. The Darshan of the Maha Vilvam tree is said to remove all sins.